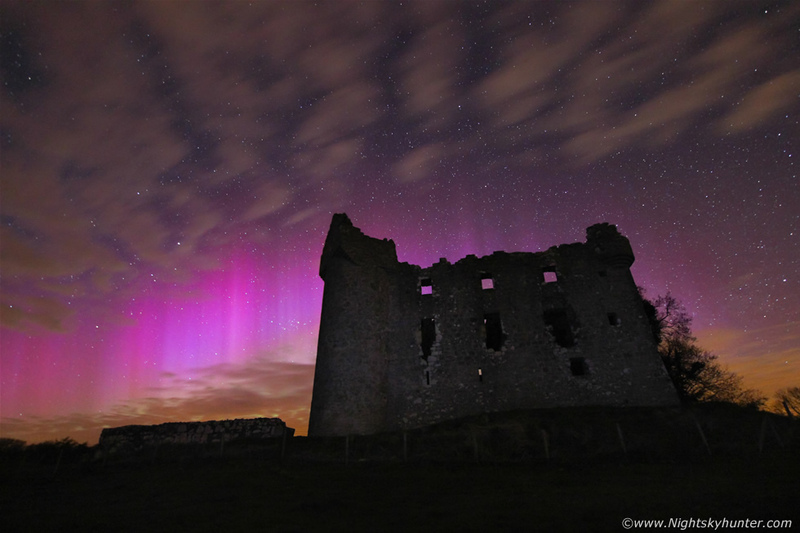 Spectacular G2 geomagnetic storm over the ancient ruins of Monea castle near Derrygonnelly in Co. Fermanagh on April 16th 2015. This aurora was the finest of the season boasting rays 40 degrees high with outstanding pink and purple colours which ended up engulfing this amazing castle, this is also the very first time that the aurora has been photographed over Monea castle which makes these images completely unique, read the report for more information. *All images are available for sale in the form of photo prints, canvas or digital files for licensing, if you are interested in a purchase simply drop me an email.